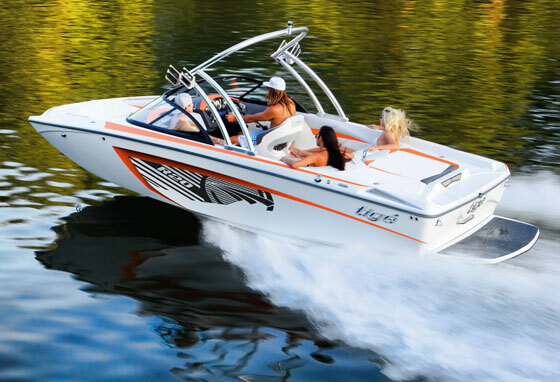 Tigé offers contemporary design and function in an affordable inboard watersports boat. The pickle fork design has become all the rage in the tow boat market — and other markets, too, for that matter — but it always seems to be the more contemporary the design, the more forked the fork, the higher the price tag. That’s what makes the R20 from Tigé so refreshing. 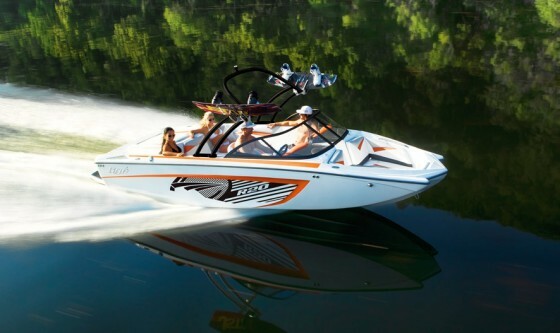 The Tige R20 gets extra room in the bow, thanks to the pickle fork design. 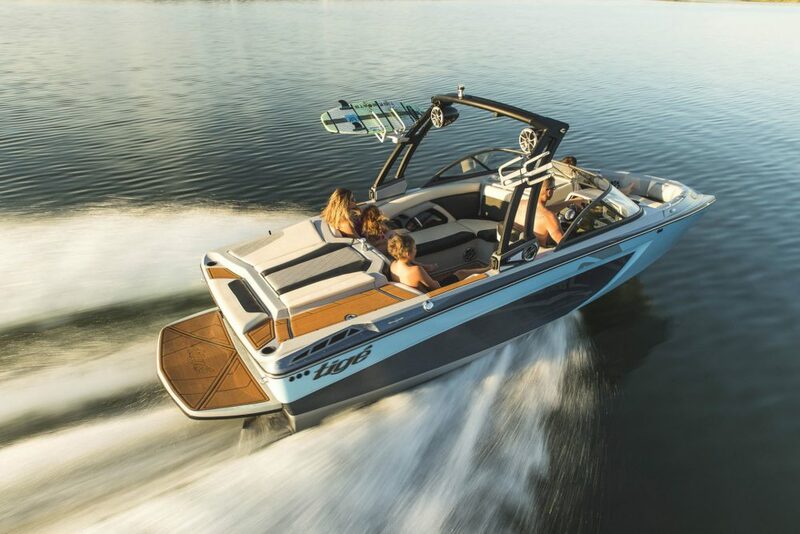 It’s not the newest boat in Tigé’s model line — the RZ lineup owns that distinction, and you can check out our video boat review of the RZ series to learn more about it — but you’d never know that by looking at the R20. 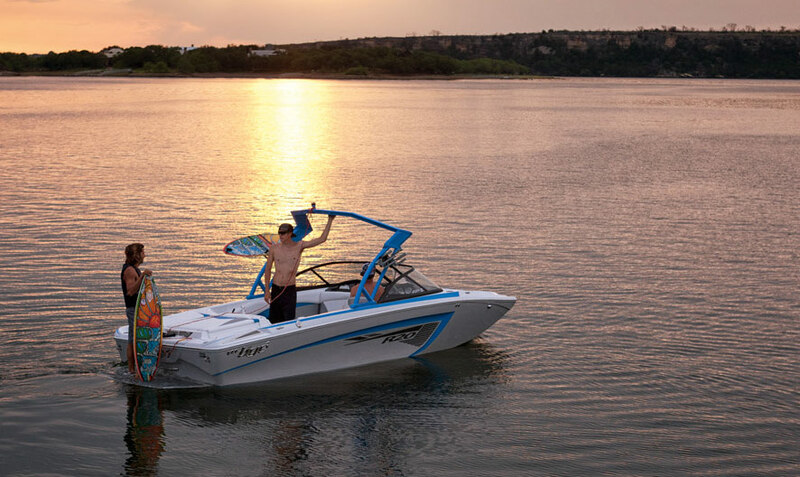 This V-drive inboard watersports boat is sizzling with the chiseled design traits and daring graphics Tigé is becoming known for. Take sculpted hullsides, for example. Based solely on degree of difficulty in terms of manufacturing, this boat is a winner. Looks aside, it’s clear that function also played a lead role in this boat’s design. For example, the transom activity center, which will see a lot of use, is simple and straightforward. The nonskid transom seat has a locker underneath it for stowing wet items like ski ropes and gloves, and it’s also at the right height for adults. In other words, it’s about the length of the average tibia and fibula, which makes strapping on a ski or wakeboard easier. The multi-color helm of the R 20 is both functional and good-looking. Tigé also provided a walk-over sun pad on the starboard side, with nonskid decking and a locker underneath it. To port, there’s another locker with a padded lid, so there plenty of upholstered room for sunbathing. Skiers get a pylon and the kids get a tow eye on the transom for tubes and kneeboards. Up front, the bow area benefits from the pickle fork design in that it’s nice and wide. It has a good amount of stowage space, a filler cushion, and a built-in cooler. And with padding everywhere around the inside of the gunwales, you’ll know the kids will be cushioned from harm if the water gets rough. The driver has a choice of two dashboards. The standard dash is handsome, with a color-contrasting eyebrow. 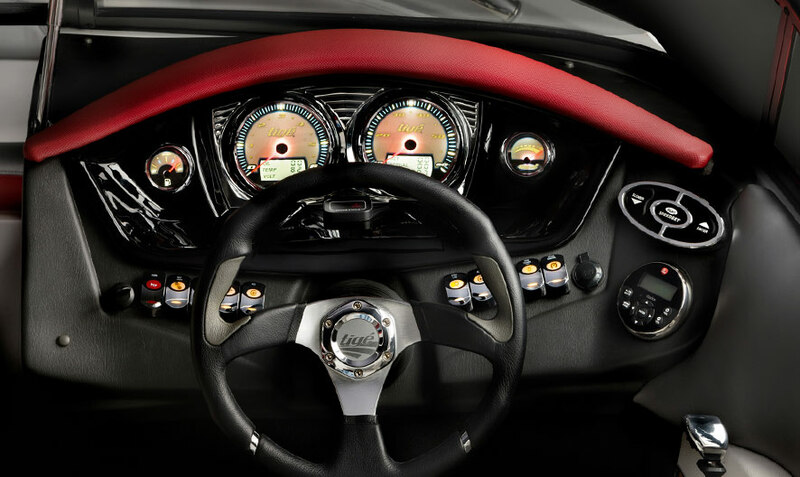 The standard dash doesn’t come with the Tigé Touch digital display, but you do get a flip-up seat, tilt wheel and Speedset, which lets you make incremental changes in speed. The R20 isn't at the top of the price list, but you'd never know by looking at it. In terms of price, the Tigé R20 comes “nicely equipped” for about the cost of a high-end luxury car. 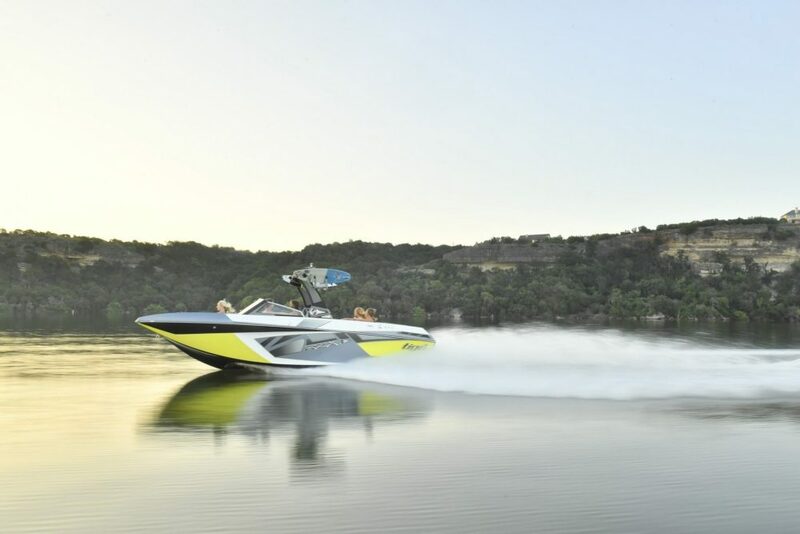 Base power is Pleasurecraft Marine’s 303-horsepower 5.0-liter Ford V8, with an option for a 343-horsepower 5.7-liter mill. 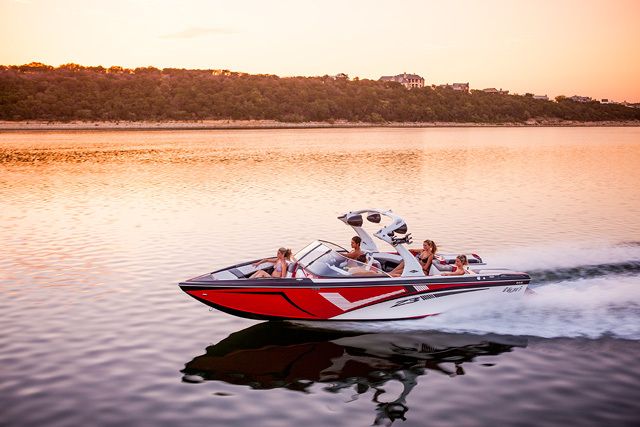 Either engine is fine, but in keeping with the value-leader orientation of the boat, the standard engine is fine, particularly when you consider the boat weighs just over 3,000 pounds. 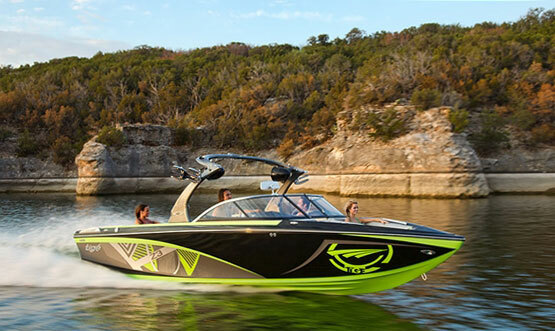 Even if you added 1,000 pounds of water ballast for wakeboarding, 300 horsepower is plenty. For more information, visit Tigé Boats.